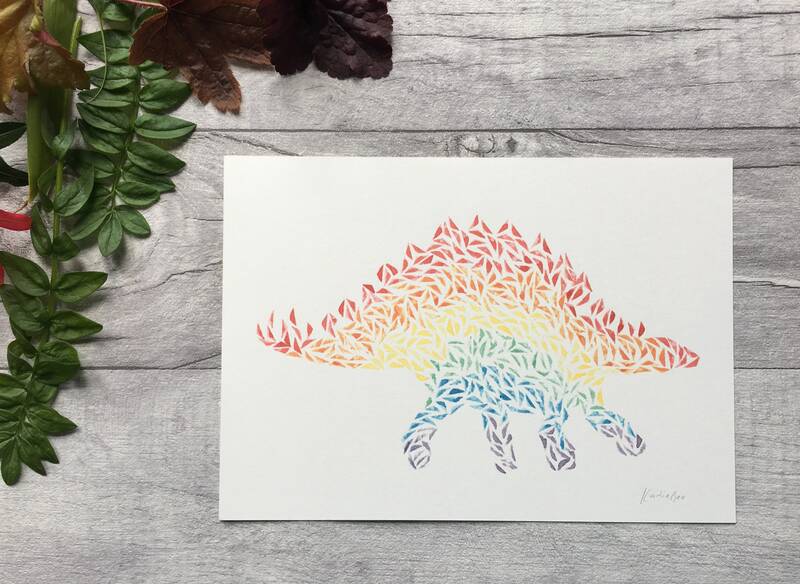 This rainbow dinosaur was made using my beautifully textured, hand cut stamps. 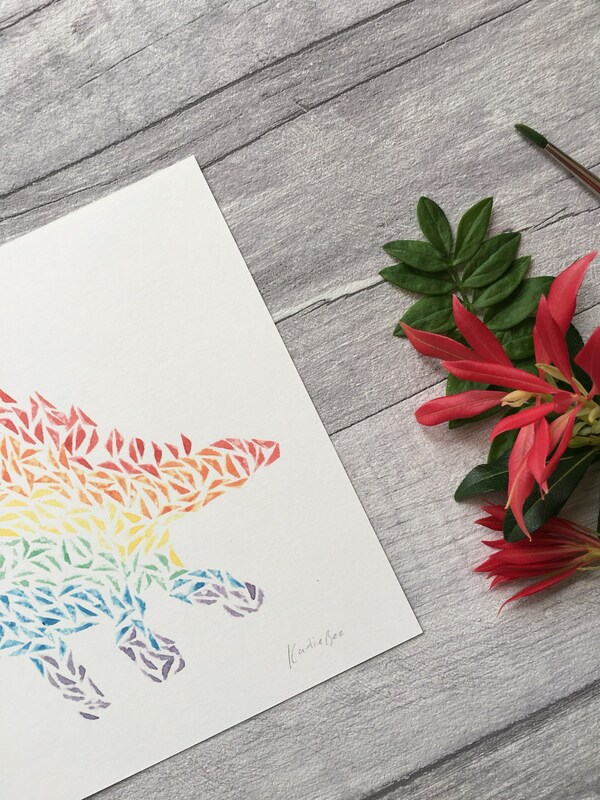 I print eat triangle by hand which come together to form this beautiful, rainbow stegosaurus. All my prints are signed and numbered before being packaged with a thick piece of grey board and sealed inside a cellophane packet. 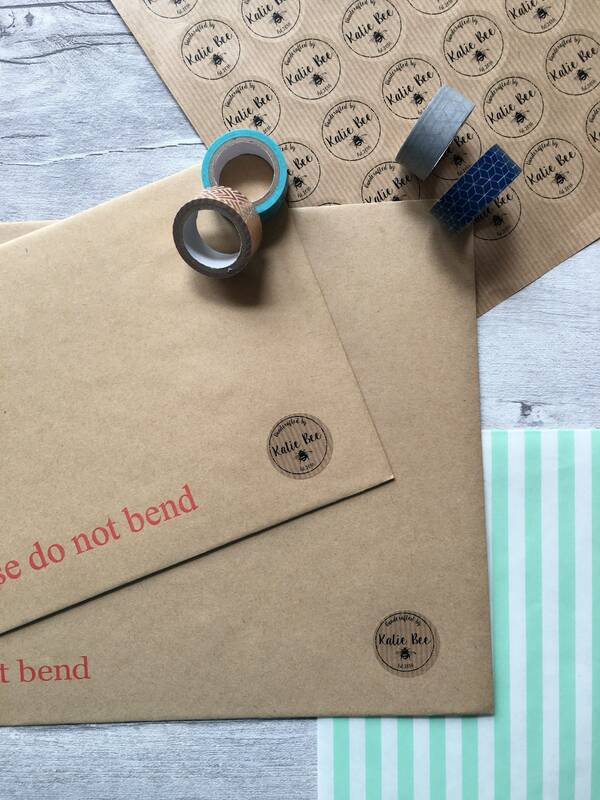 It will travel to you inside a board back envelope to ensure it stays straight. 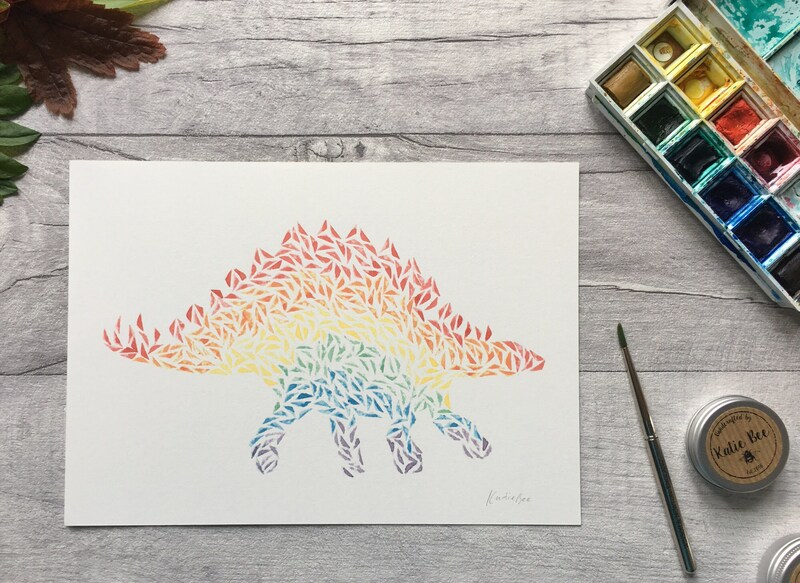 Brighten up your day and walls with this awesome, rainbow dinosaur!